I hadn’t been to Secrest Arboretum in Wooster, Ohio since a tornado literally blew it apart September 16, 2010. In the midst of our recent summer-like weather, I decided it was time to reconnect. Like so many others, I always had found the arboretum to be a place of blissful escape and rejuvenation. Its lovely woodlots, pristine gardens and peaceful settings have long served as a place of inspiration and retreat for many. I knew why it had taken me so long to return to this little paradise. I didn’t want to relive those ugly memories, so opposite of what Secrest was meant to be. Just an hour after the tornado hit late that summer evening, I had maneuvered in and around the devastation of the Ohio Agriculture and Research Development Center campus, where the arboretum is located. As a volunteer severe weather spotter, the Cleveland office of the National Weather Service had sent me there to photograph the damage as best I could. I only had about a half an hour before sunset. Rescue crews were still combing buildings for possible victims who may have stayed late for work or study. Sporadic jerky flashes from searchlights sent eerie light beams through holes of broken buildings. Focusing on my duty, I snapped as many pictures in the dim light as I could. That purposeful concentration was the only thing that stilled my emotions. 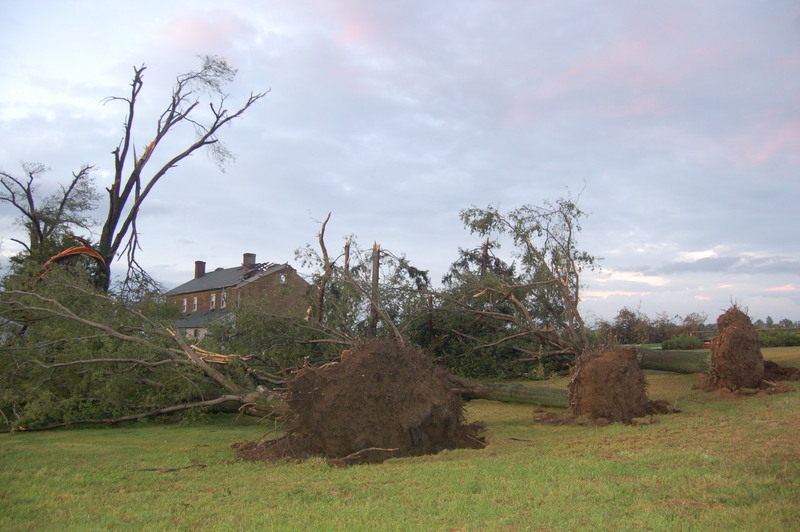 Tornado damage near the Barnhardt Rice House on the Ohio Agricultural and Research Development Center in Wooster, Ohio on the evening of Sept. 16, 2010. Historic buildings were ripped apart. Vehicles had been smashed and tossed like toys. Giant, beloved trees were snapped, toppled and twisted. It was overwhelming to see this peaceful place resemble a war zone. It was nearly dark by the time I had circled back to the famous and popular gardens. Trees that had stood as sentinels over the flora and fauna had been sheared off or completely twisted out of the ground. I thought of the many good times past when we toured the gardens with family and friends, admiring the marvelous variety of plants, flowers and trees. Those memories made it all so heart wrenching. Like thousands of others, researchers and visitors alike, I loved the place. The EF2 tornado stole that, too. I knew that restoration had begun almost immediately. But I wondered if Secrest would ever be the same. Buoyed by the unusually warm weather, I laid aside my fears and drove in. As soon as I exited my vehicle, familiar sights and sounds were instantaneous. Young trees had been planted, some adjacent to the sawed-off stumps, testimonial tombstones to those once towering trees. 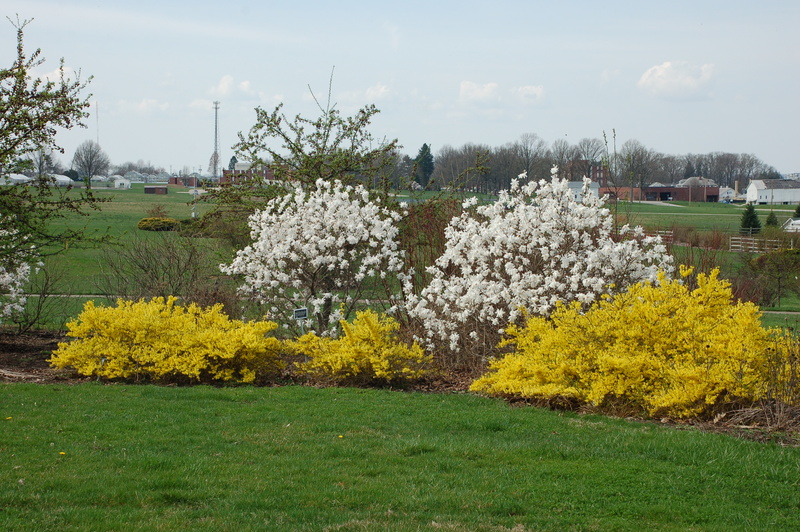 The early onslaught of warm weather had coaxed the blossoming of many flowers and flowering trees. 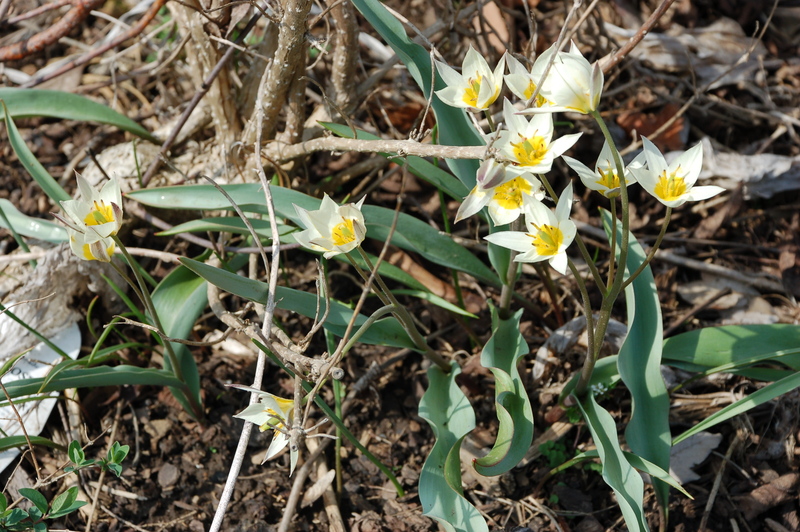 Crocuses, daffodils, hydrangea, forsythia, magnolia and even an exotic tulip were all blooming, some well ahead of schedule. Workers were busy trimming out last year’s dead growth while construction crews continued to repair, replace and expand the lovely gardens. 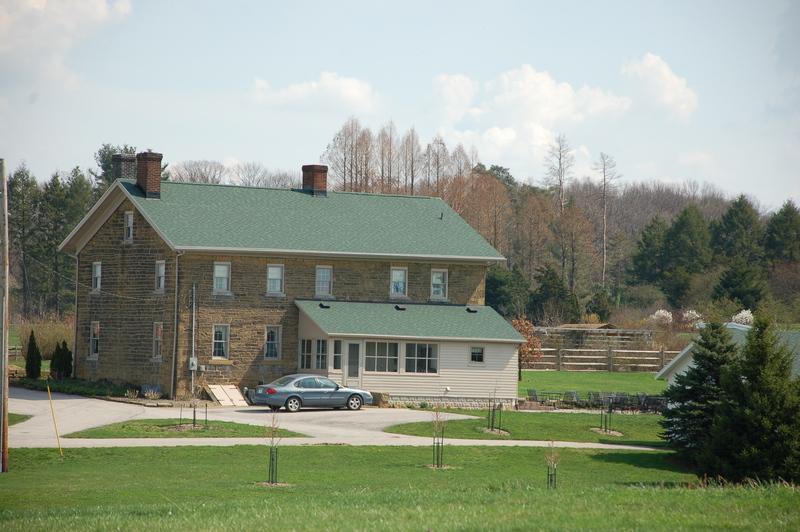 The Barnhardt Rice House is repaired and back in use. It was a pleasure to walk the paved pathways to explore the remake. I wasn’t the only one to notice the fragrant flowers. Huge bumblebees and honeybees gorged on the nectar of the new blossoms. Mocking birds flushed from one bush to the next, staking out nesting preferences. It was also nice to see some of the campus building restored, refurbished and back in use. Others, however, remained much as the tornado had left them. 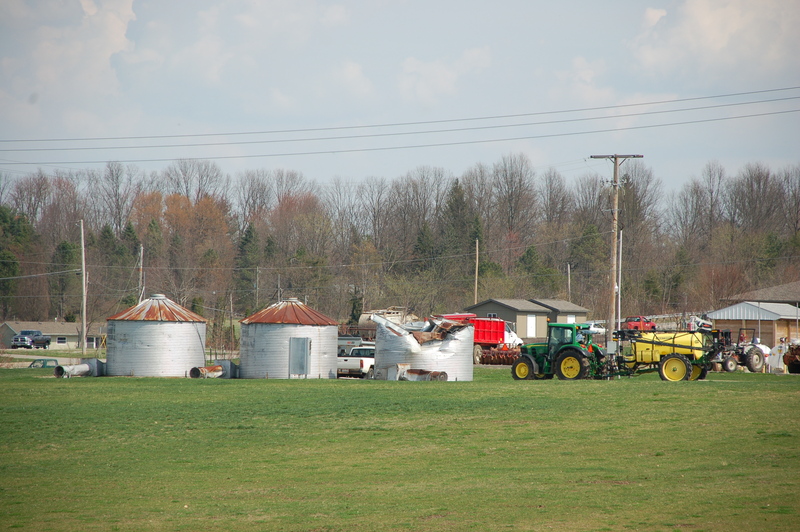 Silos on the OARDC campus stand as they were after being hit by a tornado Sept. 16, 2010. 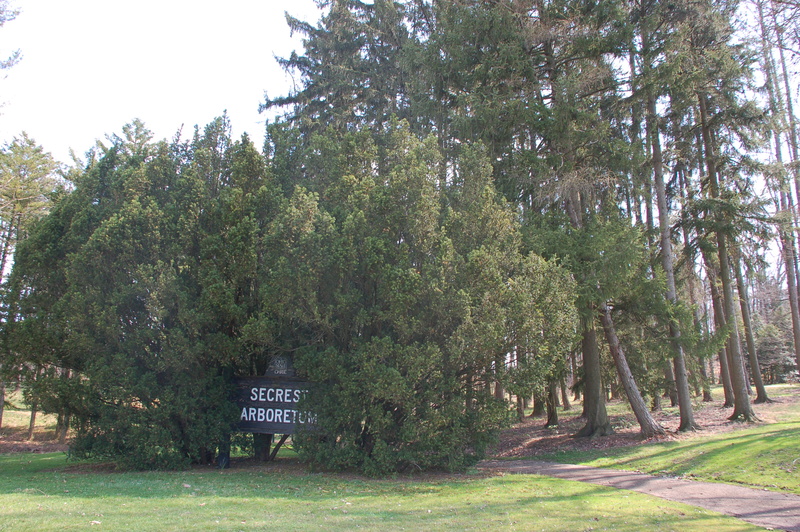 The restoration of Secrest Arboretum is a work in progress to be sure. 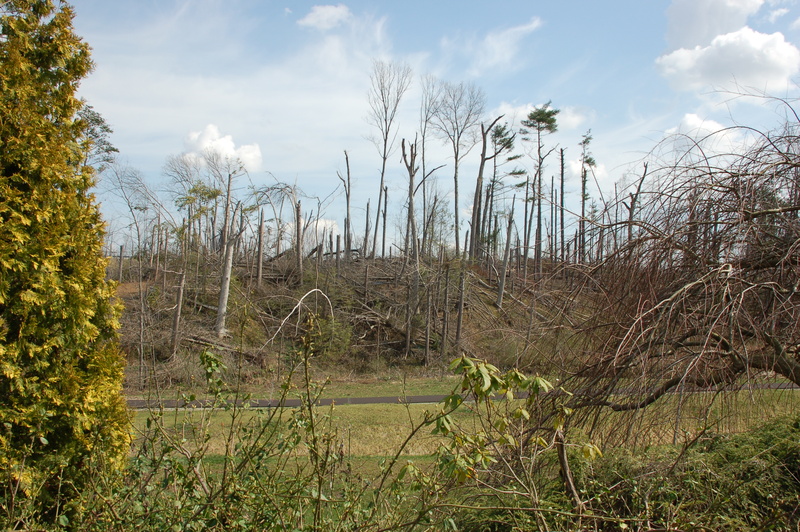 In some sections, tornado twisted and toppled trees remain within eyeshot of the ongoing transformations. The contrasts of nature’s stark fury and inspiring revival filled my soul. In the midst of this resurrection season, Secrest and I were both healing. While many areas of the arboretum have been restored, sections of large trees downed by the tornado remain.